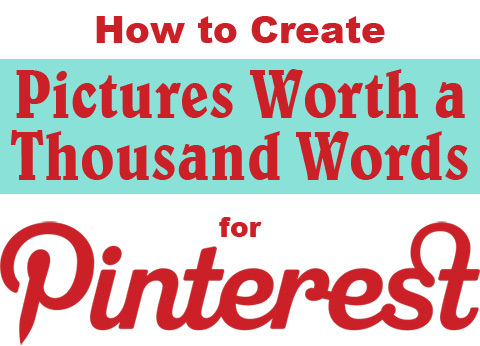 Are you looking for creative ideas to drive Pinterest traffic to your site? Since the launch of Pinterest, bloggers and website owners have been amazed to see just how much traffic this social photo-sharing platform can generate for a site or particular post. So how do you create images that tell a story and intrigue the viewer, all in the split second they take to glance at it? The better the image the greater the pins. If you spend lots of time writing your blog posts and structuring them for maximum search engine optimization, don’t stop short of including one of the most important traffic generators: the images. Now that there’s Pinterest, a picture may be the ONLY thing someone sees, using it to decide whether to visit your site or not. At least one of your images should convey the whole message of your post or page. Images with easy-to-read, bold text do that particularly well. There are lots of easy and free image editors you can use to modify or create custom and compelling graphics for your posts. Pixlr is my personal fave for quick online editing. Below are some great examples of eye-catching pics from Kid’s Activities Blog, Rhonna Designs, Six Sisters’ Stuff and Instructables. Don’t these images just make you want to click through and learn more? A clear message on your image will demand attention. When people visit your site and like what they see, they’ll want to pin it to one of their relevant boards. So it’s important to know what people are pinning from your home page, your product pages, etc. You can find out by using this URL: http://pinterest.com/source/YourWebsite.com/ (replace “YourWebsite.com” as appropriate). Additionally, if you’ve installed the “Pin It” button in your browser, visit any page of your site and see what comes up when you use the Pin It button. Do all your pages have effective images, available for pinning? More images on a page will lead to more pinning of your content. Only images and videos (YouTube & Vimeo) are pinnable. It’s ineffectual for your business (and frustrating for a reader) to love your site, go to pin it and find that nothing relevant comes up to save and share. Size your images to display without distortion. Click this image for lots more great image optimizing tips. Not sure how to market yourself or your biz using images? If you think your business is not particularly “image-centric,” think again. Just like everything in a successful social media campaign, it’s all about sharing things of value with your audience. You are selling to people. Even if your product only serves one particular niche, those people have lots of different interests outside of what you offer. Think about them. What do they do in their spare time? Do they have families? Do they share common interests? Find some of your customers’ pin boards and do some research. Get to know the things they like by looking at their boards. This will inspire you to create image boards that will have broad appeal to your market. Just because you only sell blue widgets doesn’t mean you can only feature blue widgets on your pin boards. Two terrific articles with some creative, outside-the-box ideas for business pin boards can be found on Sprout Social and Copyblogger. Lots of companies use contests and giveaways to increase traffic. Pinterest is a fabulous way to promote them! By creating a very clear image of the event and the prize, people can see at a glance what they can win. If you do a search on Pinterest for “enter to win” or “giveaway,” you’ll come up with all kinds of images. Serious contest entrants are using Pinterest to search for contests to enter. Let them know you have one! If you also include a dollar amount for your prize, Pinterest will add a banner in the upper left-hand corner of your pin with the prize amount. This can attract even more attention. 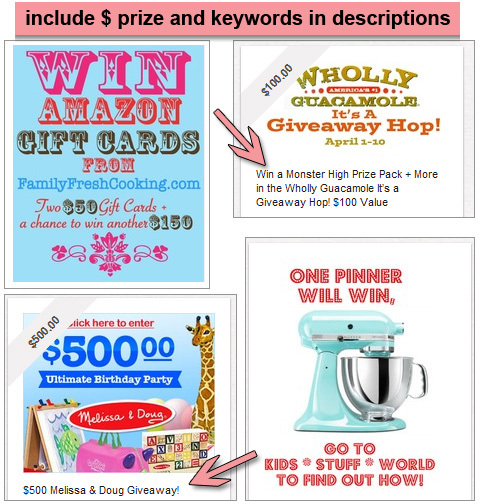 Below are a few examples of terrific contest graphics from Amy’s Daily Dose, Giveaway Bandit, Family Fresh Cooking and Kid’s Stuff World. Pin your contests and don't forget to include the prize! Ask your readers to create boards that include your keywords in the descriptions. Have them repin your images to these boards. These images include a strong call to action. Though we may see things differently, all of us have emotional responses to the things around us, the things that touch us. A picture can tell a story. It can also convey intense emotion, or even a complete thought or feeling. When you are searching for the right picture for your blog post, or creating images for your website, think of single words that convey the message you’re trying to get across. For example, are you promoting opulence, professionalism or newness? Is your product yummy, affordable, hilarious, convenient, lifesaving, etc.? 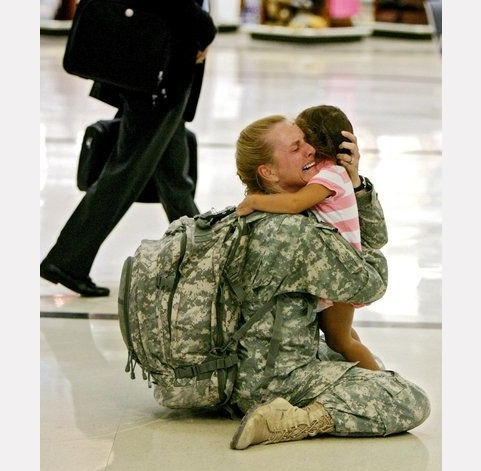 Use images that speak those words. “When you think of a single word, your images will always be focused, and they’ll always convey a meaning that makes a real impact.” – Smashing Magazine. Emotional and stirring will immediately draw a viewer in. With or without added text, if you use images that people can relate and respond to, you’ll increase the likelihood that they’ll find value in what you’re sharing. 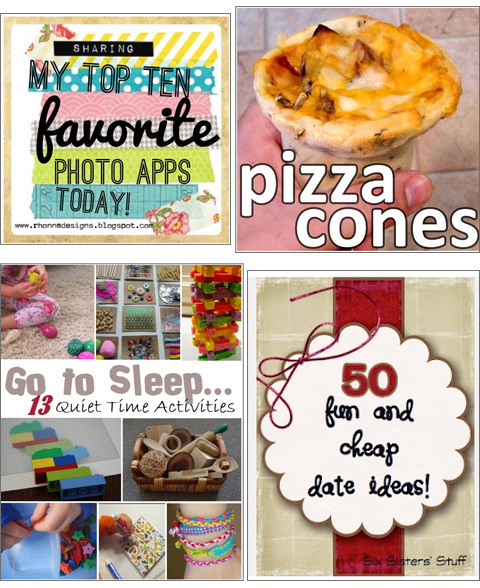 Growing your fan base via Pinterest can be fun, free and easier than you think. What do you think? Is your business on board yet? A Pinterest board, that is… Share your biz pinning strategies in the comment box below. Kelly Lester is known as "The Singing CEO" behind the #1 best-selling lunch boxes on Amazon. Kelly loves marketing via social media platforms. Pinterest is her new favorite. So easy. So pretty.